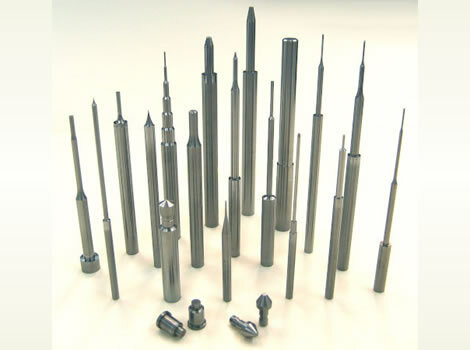 We manufacture punch pins for press molds, and different types of pins necessary for precision metal molds. 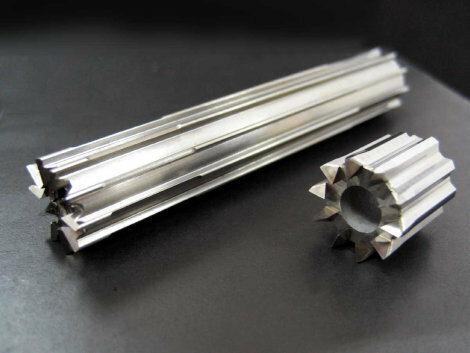 We can manufacture pins with different materials, shapes and plane roughness. Please contact us for more details. Our punch pins are used for various things, such as precise hole processing for inkjet printer heads. Our punch pins have an external diameter accuracy of up to ±0.0002 mm.